Are your old metal crowns letting your smile down? 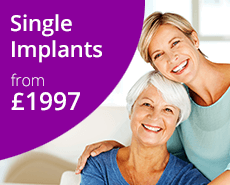 We can replace them with beautiful, natural-looking metal free cosmetic crowns. Our practice lies on the border of Lincolnshire, Leicestershire and Nottinghamshire and we are one of the leading cosmetic dental clinics in the area. In addition to the usual cosmetic treatments such as crowns and veneers offered by most dentists we also offer many of these treatments in a single-visit because we have invested in our own on site CEREC laboratory. CEREC is a system that enables our dentists to design, create and fit a new false tooth, dental crown or veneer during a single appointment, something that could have taken at least two weeks and required multiple visits in the past. In most cases it also removes the need for a messy, unpleasant impression as a picture of the teeth using a special camera is all that is required. Dental crowns, or caps, are porcelain or gold covers for damaged or unsightly teeth. 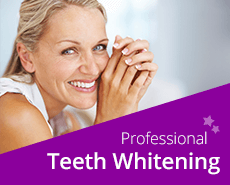 Porcelain crowns are carefully crafted to look natural and can eliminate dark metallic lines around the gums. If a tooth has been broken, or weakened by decay or a large filling, a crown can be fitted to strengthen it. 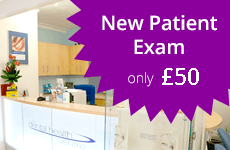 If you would like to find out more, please call us to book a cosmetic consultation. Our interest free credit option is available for many of our cosmetic services, allowing you to spread the cost of your treatment over 10 months or more. Having a nice smile is important to me because I am a happy person who likes to smile a lot. Cosmetic crowns and veneers are a big step but age and faith in my dentist spurred me on. I am thrilled with the result and people seem to think I have had some sort of face lift too!